Seamless Service. No Long-Term Contracts. Honest Pricing On YourTerms. 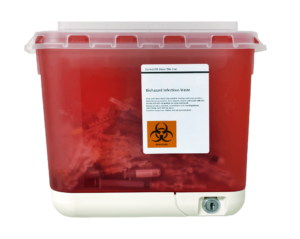 Biohazard Waste Disposal Too busy to think about waste at your facility? Rely on us for pick-up, treatment, and safe disposal of biohazards. Honest prices, no contracts. Pharmaceutical Waste Solutions Compliance can be a moving target. Trust the experts for training/managing changing regulations from OSHA, HIPAA. DOT, and more. Compliance Training Get a waste program that keeps labor /supply costs low, minimizes your exposure to harmful materials, and ensures compliance. United Medical Waste Management (UMWM) is New England’s largest independently owned provider of regulated waste services. Our focus is simple: exceptional service that’s above and beyond what our competitors offer. With that focus, you get fair and honest pricing. Deep industry expertise that protects your facility from compliance risk. And a friendly, hands-on consultancy approach that’s refreshingly unique. So let's talk! We'll create a reliable program that's built specifically for your facility, your workflow, and your budget. Our facility was very lucky to find United Medical Waste a few years ago. What a pleasure to work with Dave and his group after dealing with a larger company that didn’t care. I can call the office anytime and get Dave on the phone. Juan is our pick-up driver and he is wonderful. He’s helpful and personable and a pleasure to work with. I have not hesitated to refer UMW to everyone I possibly can and will continue to do so. Is your facility posing risk to your community? Are you in compliance? Could you be overpaying for medical waste services? Get answers to all these questions with a FREE Audit. Compliance updates, must-know safety tips, money-saving advice and more. Sign up for our blog to be in the know on the latest industry news. United Medical Waste Management Inc.